Scandinavian clothing brands continue to surprise the fashion world with their stylish designs and the incredible quality of their products, and they also got our attention several weeks ago. 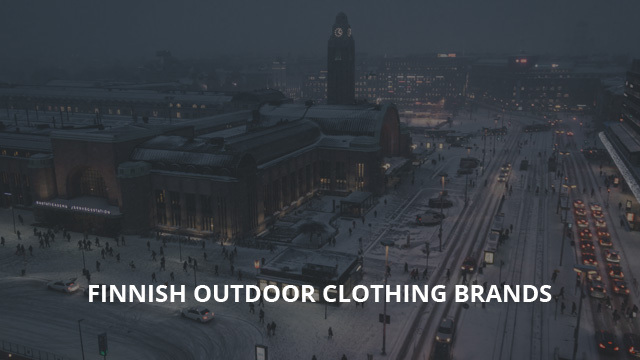 So we took a look at Norwegian, Swedish and Danish brands for some of their best and most renowned outdoor clothing and we must say, we were very impressed. It’s time to look at their neighbor, one of the five Nordic countries, Finland, and go through some very interesting brands that caught our eye. A quick look through our site will immediately show that our main focus is on jackets and as such, we picked brands that do provide jacket choices, even if not all of them are suitable for outdoor sports. But they are warm and cozy, however. When it comes to warm jackets you can always rest assured that brands form countries where winter is harsh make some of the best designs, as we have seen in the previous selections of Scandinavian brands. We picked 9 brands and each one of them adds something different to the mix as their clothing designs range from casual to more specialized outdoor ones. A last word before we begin, these are all high-end brands, with well-made, quality products, which is why the prices are more on the expensive side, but of course, affordable options are also available. We are starting with Makia, a clothing company established in 2001 that designs different outdoor clothing, shoes and other accessories, including mugs and watches. 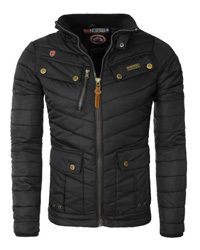 In their collections you can find quality sweaters, T-shirts, shoes, trousers and of course, jackets. Because we mostly focus on jackets in our selections and reviews, we have to say that Makia’s jackets are the main reason why we decided to include the brand in this selection. These designs are very well-made and come in different options, from short and light rain jackets, to heavy winter parkas. There are options for men, women and also kids available. Luhta has been around since 1907 and their product range includes a variety of different designs for men, women and children. You can find shirts, T-shirts, sweaters, trousers, hoodies and many other accessories, as well as shoes. Jackets, however, are where it’s at, as the brand is also renowned in its home country for their high-quality jackets and coats. From padded short jackets, to winter parkas that will keep you warm and toasty throughout the cold months of winter, there is something for everyone in their selection. These designs are very modern, few of them with the look of a sports jacket, which is a very good thing as it makes them versatile because you can use one jacket for a variety of activities and purposes. Another brand whose designs are very modern and fashionable, R-Collection impressed us with their product range and the numerous options they provide. Be it sweatpants, comfortable hoodies, sweatshirts or cozy anoraks, both you and your partner can surely find what you are looking for. Options for the little ones are available, too. T-shirts and other lighter clothing are also part of their products, so you can have something for every season. We like the retro jackets, especially, as the style is quite refined and well-designed. Some of their fabrics come from different countries and one such product with imported fabric is the Corduroy trouser design, which we must say looks really stylish, especially with a pullover on. R-Collection is definitely worth a look in our book! 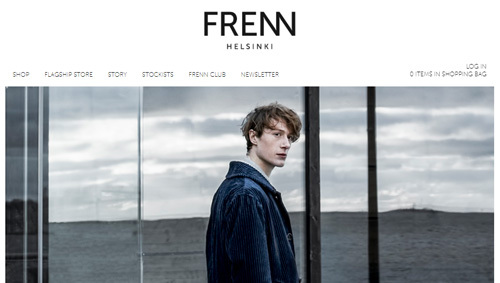 Frenn is a modern brand, established in 2013 in Helsinki. This brand takes pride in the high quality of their products not solely because of the materials, but the designing and manufacturing process as well. They source the fabrics from Northern Europe and ensure that their work is environmentally sustainable. Style-wise, their products range from more casual styles to formal wear ones, with suit jackets and shirts included. Accessories like scarves and beanies are part of the selection, too, including socks. Once again, a more retro looking jacket caught our eye, the Petri design, which is made of Italian corduroy fabric and can be matched with corduroy trousers of the same style. It’s time to move on to brands that specialize in sportswear and other winter wear. The first one is Halti, which was founded in 1976, but the story of which begins 4 years prior. At first, camping and hiking equipment were the products sold under this brand, which later went on to expand to clothing and other outdoor accessories. Their product range is extensive and it includes some of the best winter jackets available, as these designs are versatile and can be worn casually, as well as for outdoor sports. 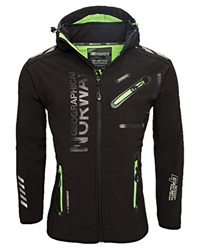 There is specialized skiwear available, including jackets and pants, as well as trekking and hiking gear, along with shoes. Both men and women can find suitable options for their next adventure in Halti’s product collection. Sasta is the brand to go to for outdoor clothing as they make a variety of products that can be worn for different outdoor sports and activities. If you are into fishing or hunting, especially, all the necessary clothing is available for purchase. Sasta prides itself in the incredible quality and performance of the outdoor wear, as well as the close relationship with Finnish hunters and fisherman, which enables the brand to create clothes that best fulfill the requirements for such activities. Camo jackets and waterproof clothing are all available, some of which are made of Gore-Tex technology. Options for women and men are available and the website itself includes numerous guides on proper care and maintenance. Svala is made for the outdoor sportsman, with specialized windproof and waterproof clothing and accessories that will keep you safe and protected regardless of weather or season. Intermediate layers and underwear are the key products of this brand, with options made of quality sheep wool included, too. Their winter hoods, which protect the face, too, are suitable for winter sports and the Merino collection, made of Merino sheep wool, includes some of the best and warmest layering products available. A very specific feature, apart from the environmental awareness and sustainability of all the fabrics and the sheep wool used, is the quality and the fact that their wool products require less washing and are very easy to care for. Inari‘s jackets are definitely worth a look. The designs are beautiful and the quality is excellent. 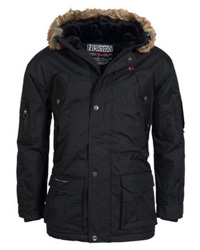 We especially like the parkas, which come in a variety of lengths and designs. Down jackets are also available, as well as light shirts, accessories and layering products, such as merino baselayer pants. 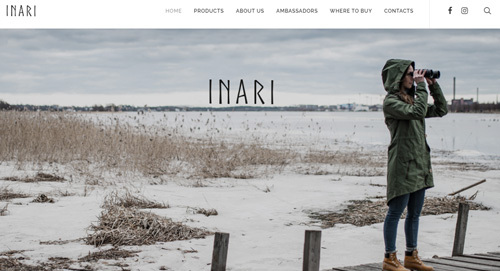 Inari specializes in outdoor winter clothing, which are not only wearable as everyday garments, but for sports, too. Options for both men and women are available. The ninth and last brand in this selection is Reima, a children’s clothing brand. With options for comfort in and outside of the home, Reima provides some of the best, and cutest, winter wear for children and teenagers. Their products include winter jackets that are made for outdoor fun, without the discomfort and bulk of a regular heavy winter jacket. Skiwear for children is also available, as well as layers that are made for warmth underneath regular clothes. There are fully waterproof jackets available, which are also dirt repellent, a great combination for children, as they can have the time of their life outdoors without worrying about getting their clothes dirty. 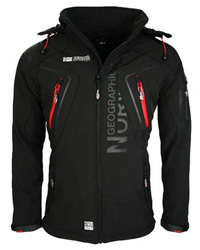 Previous Article← Helly Tech vs Gore-Tex Technology: Which One Is Better?